St. Patrick's Day Treat Recipes | Mariner Finance | Try Them Today! Blend butter until smooth in a large bowl using an electric mixer. Add confectioners’ sugar and blend well, scraping the sides as needed. Add flour and mix at low speed until well blended. Divide dough into two patties, wrap in plastic wrap and let chill in the refrigerator for 1-1/2 hours. Allow dough to soften for 10 to 15 minutes or until it’s easy to roll out. Cut out four-leaf clover shapes and place on an ungreased baking sheet. Bake at 325° until the bottoms are just starting to brown – approx. 16-18 minutes. Melt candy melts in a double boiler or microwave. Dip half of each cookie into green melts and let harden on a cookie sheet. Dip the other half of each cookie into chocolate melts and let harden on a cookie sheet. Drizzle with more of the chocolate melts. On a piece of wax paper, pour out the melted green candy and spread it out until it’s about 1/8″ Thick. Add on the white chocolate on top and use a toothpick or the tip of a knife to swirl the white and green chocolate together. Top with green sprinkles (optional) & M&M’s. Mix together the brownie mix, eggs, vanilla, flour and oil either by hand or with an electric mixer until batter is smooth. Gently fold in the chocolate chips and mint M&M’s. Roll about 2 tablespoons of dough into balls and place on baking sheets lined with parchment paper or silpats. 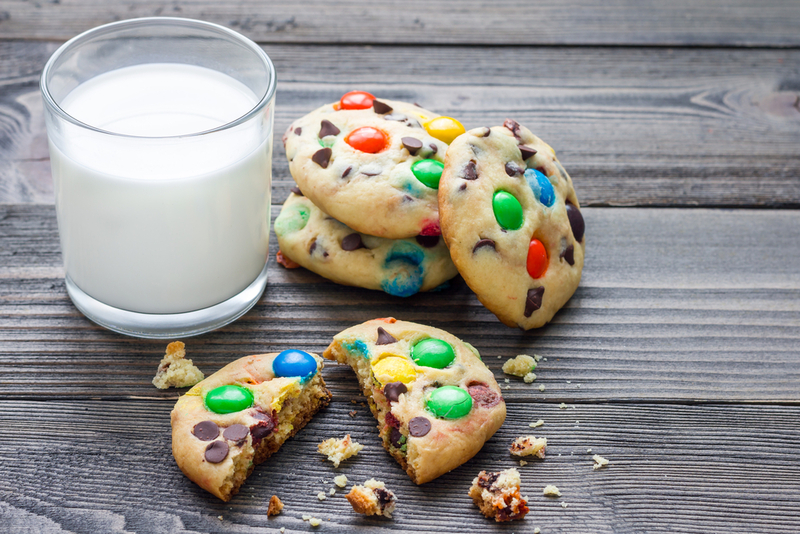 Top cookies with more M&M’s if desired. Bake for 9 minutes and remove from oven. Let cool on the baking sheets for about 5 minutes, and then transfer to a wire rack to cool completely. Place the 6 mini pie crusts on a baking sheet. Prepare the pudding per directions on the box. Add the Creme de Menthe (optional) and food coloring. Mix until well blended. Spoon into the pie crusts and chill for at least two hours. Before serving, add whipped topping and crushed Oreos. From party supplies to Ireland vacations, Mariner Finance offers loans for any need. Contact your local Mariner Finance branch today to discover how we can help!